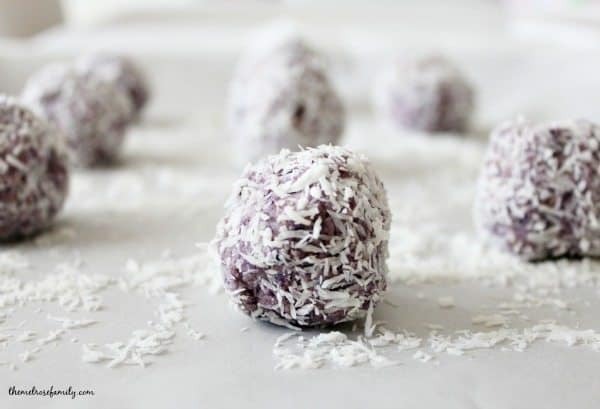 Joe and I are working hard to stick to our resolutions and it’s largely thanks to great desserts like these Berry Coconut Energy Bites. They taste just like a dessert, but they’re packed with healthy ingredients that you can feel good about eating any time of the day. Plus, they’re purple, which made my girls want to gobble them up! 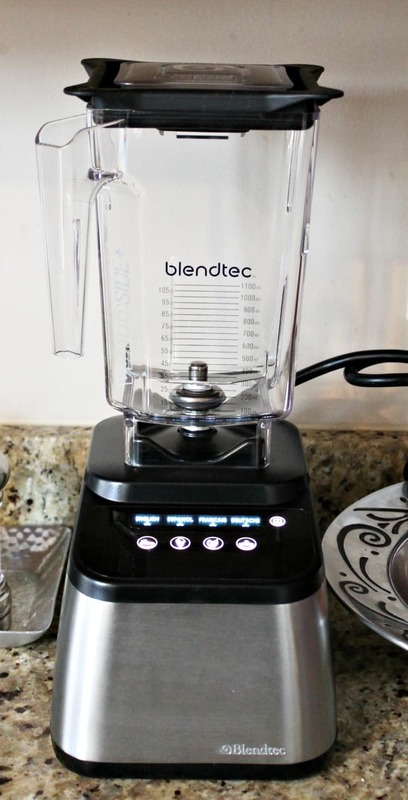 Disclaimer: Blendtec provided blenders for the giveaway and the three hostesses for review purposes. No other compensation was received, and, as always, all opinions are my own. Hopefully by now you’ve had a chance to check out the EatHealthy16 Series that we’re co-hosting with Cupcakes & Kale Chips and Love Bakes Good Cakes. We have you covered for everything from the main course to snacks in between and dessert at the end. 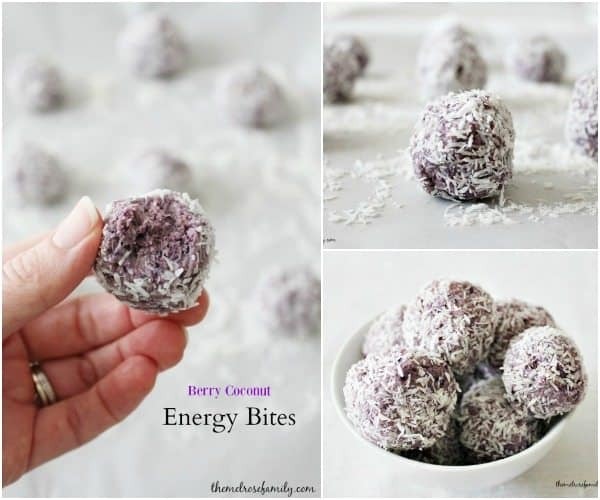 These Berry Coconut Energy Bites could qualify as a snack or a dessert. They are just that good. Ever since my clean eating journey through the Nourish Program, which you can read my Clean Eating Tips for Beginners HERE, I’ve loved energy bites. We’ve grown quite a collection in just about every flavor from Blueberry & Lemon to Almond Joy. It’s not until recently though did I truly appreciate how easy they are to make. My new Blendtec 725 makes it super simple to throw all of the ingredients into it to create the perfect paste to roll into energy balls. This was particularly important with these energy bites because the paste is extremely sticky because of the defrosted frozen berries that are used. The Blendtec just whipped it up perfectly though. Plus, my daily smoothie comes together easier than ever before as well! 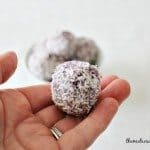 These Berry Coconut Energy Bites are the perfect healthy snack that everyone will love. Combine all of the ingredients in a blender, except for the last 2 TBS of extra unsweetened coconut flakes. Once a paste is created, roll the balls into quarter size balls. The mixture will be very sticky, but a ball should be able to be made. If it is too sticky because there was too much liquid from your defrosted berries then add in more oats and process. Once the balls are formed place them in a air tight container in the refrigerator overnight. 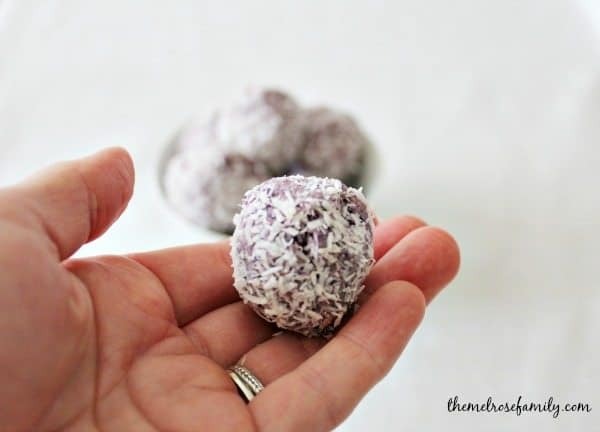 On a parchment lined cookie sheet, sprinkle the extra 2 TBS of unsweetened coconut flakes and roll each of the energy bites in the flakes. The bites can be eaten or continue to store them in the air tight container in the refrigerator. Can these be frozen after made?